For 2019 Bedale's Christmas Market and Festival will take place on Saturday 30th November 2019 in the Market Place and in Bedale Hall. The town's Christmas Lights will be switched on at 5:30 pm. On Boxing Day the Bedale Hunt meets in Bedale Park. 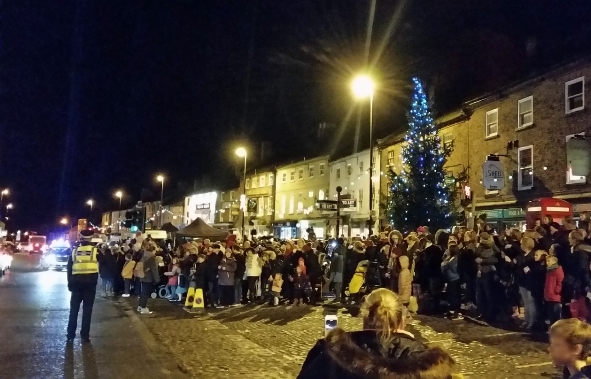 For more photos of Bedale at Christmas please visit our Bedale Events Gallery page.